I love restoring old photographs. There’s something about looking at the faces in these old images – its almost like they are trying to speak through the years. 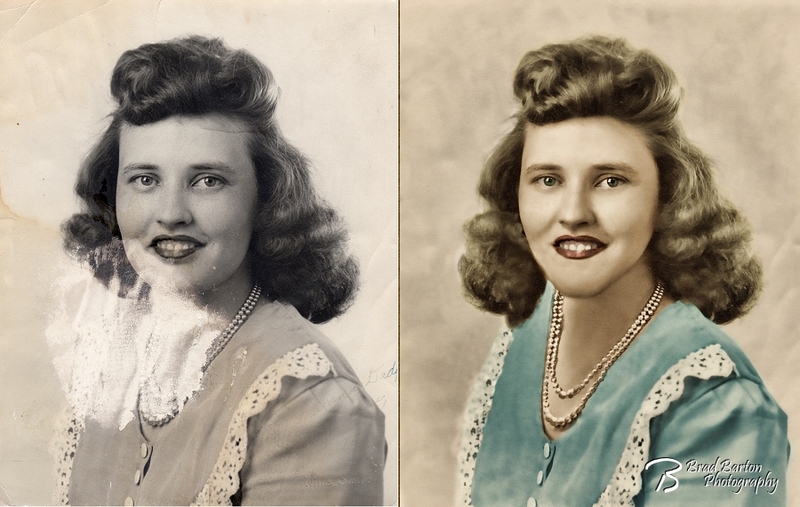 This one had some serious water damage… I decided to do a colorization on it as well.